Cloud computing has been dominated by system-level virtual machines to enable the management of resources using a coarse grained approach, largely in a manner independent from the applications running on these infrastructures. However, in such environments, although different types of applications can be running, the resources are often delivered in a equal manner to each one, missing the opportunity to manage the available resources in a more efficient and application aware or driven way. Our proposal is QoE-JVM supporting Java applications with a global and elastic distributed image of a high-level virtual machine (HLL-VM), where total resource consumption and allocation (within and across applications in the infrastructure) are driven by incremental gains in quality-of-execution (QoE), which relates the resources allocated to an application and the performance the application can extract from having those resources. 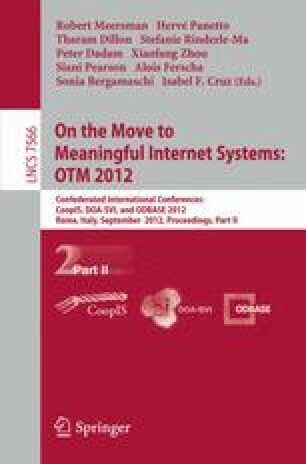 In this paper, we discuss how critical resources (memory and CPU) can be allocated among HLL-VMs, so that Cloud providers can exchange resource slices among virtual machines, continually addressing where those resources are required, while being able to determine where the reduction will be more economically effective, i.e., will contribute in lesser extent to performance degradation.